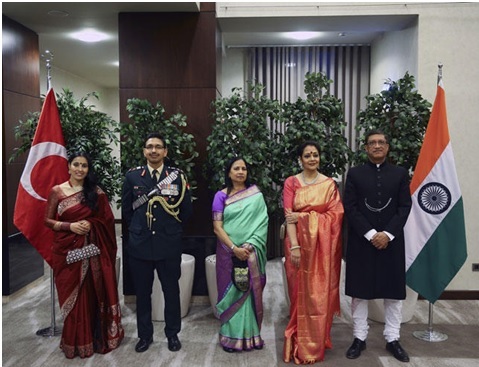 New Delhi’s Embassy to Turkey on Jan. 26 celebrated India’s 70th Republic Day with a reception at its premises in the capital Ankara. Hosted by Indian envoy Sanjay Bhattacharyya, the reception was attended by Turkish Deputy Trade Minister SezaiUçarmak as well as diplomatic personnel from various countries. 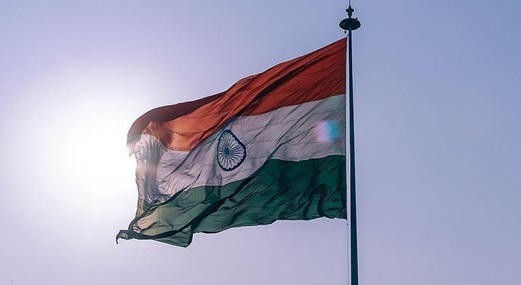 India became independent in 1947, however, it adopted the Constitution on Jan. 26, 1950 and declared itself a sovereign, democratic and republic state. Since then, Jan. 26 is celebrated as Republic Day in India. Bhattacharyya underlined his country’s steady growth and development since it passed the Constitution, and he also praised the 70-year “modern partnership” with Ankara. “We established closer political-security cooperation, deeper economic engagement and extensive cultural exchanges, to respond to opportunities and challenges of the new era,” Bhattacharyya said. For his part, Uçarmak said Turkish-Indian relations have been improving rapidly, adding that India was among Ankara’s “target countries” to develop economic and commercial ties in 2018-2019. He added that the trade volume between the two countries had reached $8 billion in 2018, out of the $10 billion target set by Turkish President RecepTayyipErdoğan and Indian Prime Minister Narendra Modi. A traditional Indian dance group performed during the event, while guests were served Indian food. New Delhi's Embassy to Turkey on Saturday celebrated India's 70th Republic Day with a reception at its premises in the capital Ankara. Hosted by Indian envoy Sanjay Bhattacharyya, the reception was attended by Turkish Deputy Trade Minister Sezai Ucarmak as well as diplomatic personnel from various countries. Bhattacharyya underlined his country's steady growth and development since it passed the Constitution, and he also praised the 70-year "modern partnership" with Ankara. For his part, Ucarmak said Turkish-Indian relations have been improving rapidly, adding that India was among Ankara’s “target countries” to develop economic and commercial ties in 2018-2019. He added that the trade volume between the two countries had reached $8 billion in 2018, out of the $10 billion target set by Turkish President RecepTayyipErdogan and Indian Prime Minister Narendra Modi.